Posté dans 20 juin, 2012 dans Non classé. 3 commentaires. Amakuru dukesha BBC Gahuza Miryango aravuga ko Mai Mai Raia Mutombiki yibasiye abaturage b’abanyekongo bavuga ikinyarwanda bo mu bwoko bw’abahutu. Iyo mirwano ngo yatangiye abo Mai mai bitwaje ngo barahiga FDLR none ngo badukanye ibyo kwibasira abanyekongo bavuga ikinyarwanda bo mu bwoko bw’abahutu babita abanyamahanga ngo basubire iwabo. Ibyo bitero ngo bigabwa n’abo mu bwoko bw’abatembo. Umunyekongo w’umuhutu witwa Kabera yatangarije BBC ko abo ba Mai mai bateye ahitwa i Gatoyi muri Masisi ku buryo abaturage benshi barenga ibihumbi bahunze berekeza Minova n’ahandi, we akavuga ko yari mu nzira ahungira i Goma. Mu minsi ishize ngo abo bamaimai bishe abanyekongo bavuga ikinyarwanda b’abahutu barenga 150. Hari n’abaturage benshi bishwe batwikiwe mu mazu. Nk’uko uwo mugabo ukora akazi k’ubuganga akomeza abivuga ngo ibyo bikorwa bibi bikorwa n’abatembo baturanye nabo ngo biyita Raia mutomboki ngo kuko hatwikwa amazu y’abavuga ikinyarwanda gusa ntabwo ay’abatembo atwikwa, ngo ibintu birakomeye ku buryo amazu ya ba Chef de collectivité na Chef de Poste yatwitswe. Ingabo za Congo ngo ntabwo zirabatabara uretse MONUSCO ngo yabatabaye ikoresheje indege ikarasa kuri abo ba Mai Mai bagasubira inyuma. Iyi myitwarire y’ubutagondwa ya bamwe mu bakongomani akenshi ikomeje guhabwa urwitwazo n’intambara Leta ya FPR iri ku butegetsi mu Rwanda ikomeje guteza mu burasirazuba yifashishije inyeshyamba z’abatutsi zihindura amazina bitewe n’ibihe, guhera kuri AFDL, RCD, CNDP na M23 akenshi hakaba hagamijwe gusahura umutungo wa Congo. Hari n’amakuru avuga ko Leta ya Kigali yaba ifasha Mai Mai Raia Mutomboki mu kurwanya FDLR ku buryo muri iyi minsi basigaye bafite ingufu zidasanzwe. Ibyo bikaba bijyana no kwica impunzi z’abahutu b’abanyarwanda n’abahutu b’abanyekongo. Amakuru atangazwa n’urubuga AfroAmerica Network aravuga ko Mai Mai Raia Mutomboki yateye ingabo za FDLR za Brigade iyobowe na Colonel Karume zikayirukana mu birindiro byayo. Abo ba Mai mai mu minsi ishize kandi bateye ingabo za MONUSCO bakomeretsa abasirikare bagera kuri 11. Près de vingt-cinq mille réfugiés rwandais vivent difficilement dans la province du Sud-Kivu. Le chef de l’Unité de protection au bureau de la sous délégation du HCR/ Bukavu, Francisco Abdisson, a déploré leur situation mercredi 20 juin à l’occasion de la journée internationale des réfugiés. «Les conditions de vie des réfugiés, et principalement les réfugiés rwandais restent encore dramatiques au Sud-Kivu. Leur nombre varie entre 20 et 25 mille», a-t-il déclaré. Francisco Abdisson a indiqué que cinq mille réfugiés rwandais ont récemment été enregistrés et d’autres dont le nombre n’est pas encore connu vivent encore dans des régions difficiles à accéder. «Ils sont dans des régions très reculées et affectées par des problèmes de sécurité. C’est par exemple Shabunda, Kabare, Mwenga et Fizi. Ce sont des zones où nos enregistreurs ne peuvent pas se rendre. C’est ça qui nous pose un problème. 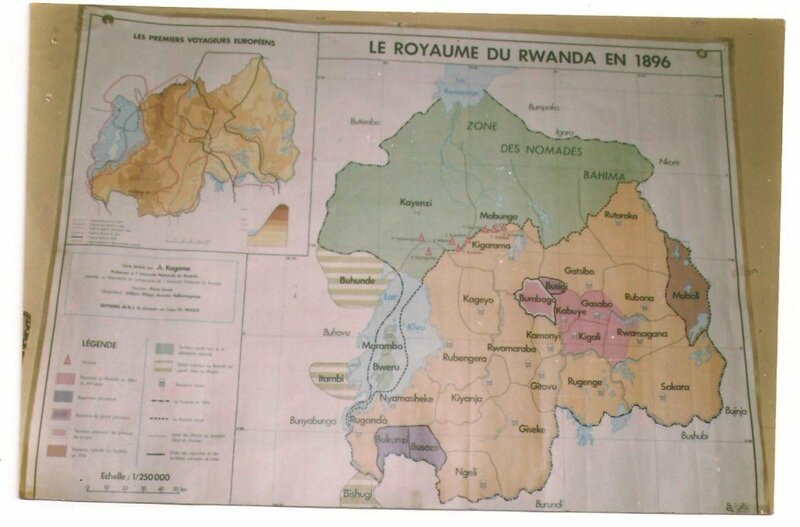 Maintenant on a cartographié avec les autorités ces réfugiés rwandais», a déclaré ce responsable du HCR à Bukavu. Mais, les autorités congolaises et le HCR disent ne pas baisser les bras malgré les nombreuses difficultés rencontrées dans la prise en charge de ces réfugiés. «On va essayer d’ouvrir des couloirs humanitaires, de créer des points d’enregistrement où, ils pourraient effectivement se faire enregistrer et éventuellement se porter volontaire au rapatriement », a déclaré Francisco Abdisson. Il a signalé un mouvement de rapatriement assez important, l’année dernière, d’environ quatre mille réfugiés burundais. «Cette année le mouvement a un peu baissé car il y a une partie de ces refugiés burundais qui sont bien intégrés», a-t-il précisé. A l’occasion de la journée internationale du réfugié, le HCR a organisé une marche sur les artères principales de la ville de Bukavu tandis que les manifestations culturelles et discours des autorités ont lieu en la salle Concordia de l’archevêché. Début juin, la Commission nationale pour les réfugiés (CNR) et le HCR avaient rapatrié trente quatre Rwandais dans leur pays. Certains de ces réfugiés provenaient des territoires de Fizi et Kalehe au Sud-Kivu et d’autres, de Walikale au Nord-Kivu. La CNR poursuit des campagnes de sensibilisation en vue d’augmenter le nombre des refugiés candidats volontaires au retour dans leur pays où ils fuient notamment l’insécurité que causent les groupes armés. Lt Gen Kayumba Nyamwasa, testifying under oath in South Africa Wednesday, described fearing he would become a political prisoner in his homeland and fleeing to Johannesburg, where he was shot. Lt Gen. Faustin Kayumba Nyamwasa’s testimony brought East Africa’s fractious politics to South Africa, where he is a witness in the case against three Rwandans and three Tanzanians accused of trying to kill him in Johannesburg in 2010. Rwandan authorities have repeatedly denied involvement in the shooting, and hired South African lawyer Gerhard van der Merwe to monitor proceedings. Since coming to South Africa in 2010, Nyamwasa, a former Rwandan military chief, has accused Rwandan President Paul Kagame of crushing dissent and trampling on democracy after the two worked together to take the power in Rwanda in 1994. Rwandans in exile have accused Kagame of using his agents to hunt down his external foes, and foreign governments have raised similar concerns. In Rwanda last year, a military court convicted Lt Gen Kayumba Nyamwasa and three other dissidents in absentia and sentenced them to 20 years in prison for threatening state security and on other charges they deny. Questions also have been raised about Lt Gen Nyamwasa’s conduct when he was close to Kagame. Lt Gen Nyamwasa and other senior Tutsis are accused of waging an extermination campaign against Hutus in the chaotic aftermath of Rwanda’s genocide – charges Lt Gen Nyamwasa denies. Soon after Lt Gen Nyamwasa began testifying, standing in a gray suit and speaking in a soft, steady voice, prosecutor Shaun Abrahams told the court he wanted Lt Gen Nyamwasa to describe his background. Van der Merwe, Rwanda’s lawyer, interrupted to say that could lead to speculation about government involvement. « The consequences in doing that could be severe, » van der Merwe said. Resuming his testimony, Lt Gen Nyamwasa described being born and raised in a marginalized Rwandan community in Uganda, which borders Rwanda. Lt Gen Nyamwasa earned a law degree from Uganda’s prestigious Makerere University. Lt Gen Nyamwasa said he joined then-Ugandan opposition leader Yoweri Museveni’s rebel movement in the 1980s in part in hopes of improving the lives of Rwandans in Uganda and in Rwanda. When Museveni took power, Lt Gen Nyamwasa rose in Ugandan army ranks and joined the Rwandan Patriotic Front, founded in Uganda in 1987. Rwandan President Kagame has a similar background in Uganda and in the Rwandan Patriotic Front. Kagame led the Rwandan Patriotic Front to victory in Rwanda in 1994. Lt Gen Nyamwasa served in Kagame’s security apparatus, rising to army chief, a post he held from 1998 to 2001, when he left to study global security in Britain. When he returned, he was appointed national security coordinator, and later ambassador to India. In court Wednesday, as his wife and other supporters watched from the gallery, Lt Gen Nyamwasa described returning from India for his mother’s funeral and to attend a governing party meeting in 2010. « The purpose of the meeting was to harass me, » he said, saying he was accused of defying party discipline for actions that in some cases dated back years. His defiance included opposing moves against Hutu politicians who had joined the post-genocide government. Lt Gen Nyamwasa said Wednesday that he saw attacks on those politicians as undermining unity and reconciliation. He was asked to write a letter of apology, and said he had seen such letters used to discredit others, and even as evidence in court cases that resulted in jail terms. « I recognized, first of all, that I would be arrested, and that after the arrest, I would not be granted due process of law, » he said in court Wednesday. He arrived in South Africa days after the meeting, joining other dissidents. Observers speculate Kagame saw Lt Gen Nyamwasa as a political rival who was becoming too powerful. In South Africa, working with other dissidents here and elsewhere, Lt Gen Nyamwasa established the Rwandan National Congress, which they say is dedicated to pursuing peaceful political change in their homeland. Three Rwandans, among them a prominent businessman, and three Tanzanians accused in the Lt Gen Nyamwasa shooting face charges including attempted murder and conspiracy to commit murder. They pleaded not guilty, but evidence presented earlier this week included confessions and other incriminating statements three defendants made to police. The defendants told police they did not know who ordered the attack on the general, but said they were approached by a Rwandan they could not identify. South African prosecutors have said key witnesses in the politically and diplomatically sensitive trial have sought police protection in South Africa because they fear Rwanda’s government. 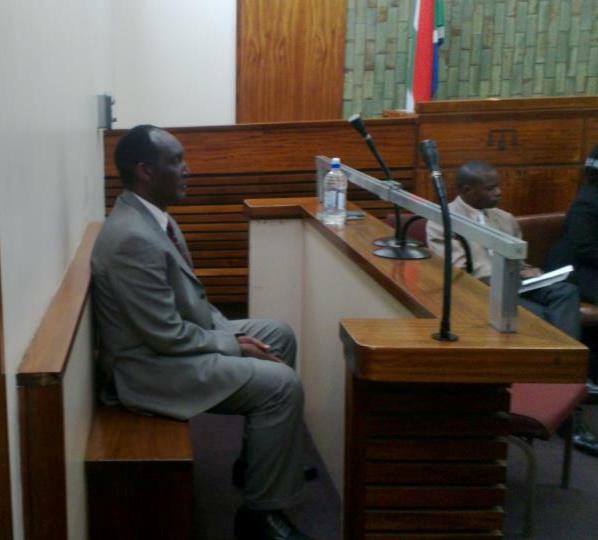 Previous testimony in the South African trial has hinted that shadowy figures were determined to kill Lt Gen Nyamwasa, trying more than once and offering large amounts of cash to draw in conspirators. After Lt Gen Nyamwasa survived the shooting, prosecutors said the people pursuing him plotted to kill him in his South African hospital bed. But that case was dropped when a key witness claimed he had been forced to testify against the defendants. Last year, British police warned some Rwandan exiles living in Britain that their lives were in danger, and the threat was believed to have emanated from the Rwandan government. Last year, after Charles Ingabire, a Rwandan journalist who was a frequent critic of his government was shot and killed in Uganda, Human Rights Watch urged Uganda’s government to protect Rwandan dissidents living in Uganda. Human rights groups say opposition politicians, journalists and civil rights activists have been harassed inside Rwanda. Jambo ASBL condamne fermement les violences imposées au peuple Congolais et les amalgames entre le FPR et le peuple rwandais! Posté dans 20 juin, 2012 dans Non classé. 2 commentaires. L’ASBL Jambo condamne sans réserve la guerre menée au Congo par les rebelles formés et armés par le régime militaire du Général Paul Kagame, actuellement au pouvoir au Rwanda. Elle condamne également les propos haineux à l’encontre du peuple rwandais, particulièrement de l’ethnie Tutsi. Propos tenus le 15 juin 2012 par des manifestants congolais devant l’ambassade du Rwanda à Bruxelles et qui avaient pour objectif de dénoncer la nouvelle invasion de leur pays par le Front Patriotique Rwandais(FPR) dirigé par Paul kagame. Jambo asbl tient à rappeler son soutien indéfectible au peuple Congolais dans la guerre que lui impose le FPR, un groupe politico-militaire et criminel, au pouvoir au Rwanda et exprime toute sa tristesse devant une telle désolation humaine qui dure depuis près de vingt-ans. Jambo ASBL appelle toutefois le peuple Congolais, tous les acteurs diplomatiques et de sociétés civiles, à la prudence dans l’identification des responsables de ces atrocités. Il ne faut en aucun cas confondre le FPR ni au peuple rwandais dans son ensemble, ni à l’ethnie Tutsi. 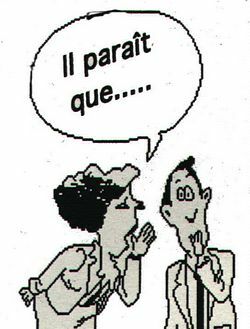 Le peuple rwandais, toutes ethnies confondues, est aussi victime de cette association criminelle. Dès lors, nous appelons les deux peuples, en particulier les organisations de défense des Droits de l’Homme des deux pays, à travailler main dans la main pour mettre fin à ces violences qui ont commencé au Rwanda en 1990 et se perpétuent au Congo où des millions de morts et de femmes violées restent à ce jour des victimes oubliées de cette tragédie. 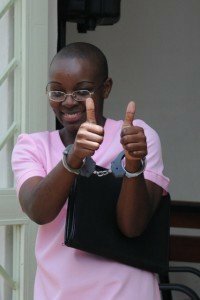 Nous appelons le peuple rwandais à défendre son honneur, à ne pas laisser le FPR jouer son avenir dans ces entreprises criminelles. Il est impératif que tous les rwandais se lèvent et mettent fin au calvaire que leurs voisins congolais subissent. Nous rappelons que le FPR a pris le pouvoir au Rwanda par les armes et qu’il s’y maintient grâce à une politique basée sur la terreur qu’il fait subir au peuple rwandais par des assassinats répétitifs et des emprisonnements arbitraires accompagnés de tortures. Nous rappelons que les généraux Laurent Nkundabatware et Bosco Ntaganda qui ont commandé et commandent les rebellions créées au Rwanda pour déstabiliser, piller voir nettoyer ethniquement l’Est du Congo sont des officiers du FPR. Nous appelons les missions diplomatiques à faire participer leurs pays activement à la condamnation des responsables des pires crimes qu’ont subi et subissent les peuples rwandais et Congolais, notamment répertoriés dans le rapport « Mapping » du Haut-commissariat aux droits de l’Homme des Nations Unies et de tout mettre en oeuvre pour y mettre un terme sans délai et traduire les responsables en justice. Posté dans 20 juin, 2012 dans Non classé. 4 commentaires. Guhera tariki 01/07/2012 2012 ibiciro by’amashanyarazi bizazamukaho 20% mu ngo z’abantu no mu nganda ziciriritse, mu rwego rwo kugendera ku gaciro ifaranga rifite muri iki gihe, nk’uko byatangajwe n’ Ikigo cy’u Rwanda gishinzwe Imirimo ifitiye igihugu Akamaro (RURA). Guhera icyo gihe kilowateri imwe izatajya igura amafaranga y’u Rwanda 134 ivuye ku 112; nk’uko Regis Gatarayiha, umuyobozi wa RURA yeguriwe inshingano zo gukurikirana ibijyanye n’izamuka ry’ibiciro yabitangaje. Umuyobozi wa RURA avuga ko ukurikjie uko ifaranga ry’u Rwanda ryataye agaciro kuva mu 2006, ibiciro by’amashanyarazi bitari bijyanye n’igihe, akaba ari yo mpamvu ibiciro byazamuwe. Hagati ya saa tanu z’ijoro kugeza saa moya za mu gitondo kilowateri izajya yishyurwa amafaranga 113, naho kuva saa moya za mu gitondo kugeza saa kumi n’imwe z’umugoroba yishyurwe amafaranga 194 hariho n’umusoro ku nyongeragaciro. Kuva saa kumi n’imwe z’umugoroba kugeza saa tanu z’ijoro ho, ni amafaranga 198 hiyongereyeho n’umusoro ku nyongeragaciro. Les réfugiés rwandais: Pourquoi fuient-ils leur pays? - la terreur, les arrestations et les emprisonnements arbitraires dans les prisons mouroirs. Par ailleurs, la plupart des survivants qui ont été contraints de regagner le Rwanda en 1996 par l’Armée Patriotique Rwandaise lors des massacres perpétrés au cours de la destruction des camps des réfugiés rwandais au Congo (Uvira, Bukavu, Goma) et au cours de leur traque à travers la forêt équatoriale du Congo, quand ils n’ont pas été liquidés, ils ont été emprisonnés. Les plus chanceux d’entre eux ont repris le chemin de l’exil. Malheureusement, le Haut Commissariat des Nations Unies pour les Réfugiés (HCR), qui était censé les protéger, les a abandonnés dans des situations dramatiques, voire tragique, faisant semblant de ne rien savoir ou en étant ouvertement complice du gouvernement de Kigali et de certains pays jusqu’à participer dans les tractations pour les rapatrier de force. Ainsi, la clause de cessation du statut de réfugié pour les réfugiés rwandais que le HCR et ses partenaires viennent de sceller est une illustration évidente du comportement scandaleux de cet organe des Nations Unies. A l’occasion de la Journée Mondiale du réfugié, le parti FDU-Inkingi demande au HCR de respecter et d’appliquer les Conventions internationales qui protègent tous les réfugiés sans se compromettre dans des accords fallacieux avec certains Etats. Il réitère ses remerciements aux gouvernements des pays qui ont accueilli et continuent d’accueillir les réfugiés rwandais sur leur territoire et veillent à leur protection et leur sécurité sans prendre en considération les campagnes de désinformation des autorités de Kigali alors que les conditions qui les ont fait fuir persistent encore. Fait à Lausanne (Suisse), le 20 Juin 2012. Uyu munsi tariki 19 Kamena 2012, Perezida w’u Rwanda Paul Kagame yagiranye ikiganiro n’abanyamakuru aho akorera muri Village Urugwiro. Bamubajije ibibazo bitandukanye ariko bibanze cyane ku kibazo cy’u Rwanda na Repubulika iharanira Demokarasi ya Congo hamwe n’umukuru w’inyeshyamba zahoze ari iza CNDP ubu zikaba zisigaye zitwa Mouvement du 23 Mars (M23). N’ubwo Umukuru w’igihugu yakomeje gushyira mu majwi Umuryango mpuzamahanga MONUSCO ko wananiwe gukemura ibibazo bya Congo, byagaragaye ko abanyamakuru batigeze banyurwa n’ibyo bisobanuro. Ikiganiro cyasubitswe bigaragara ko abanyamakuru batanyuzwe kuko batari bakazibukiye kureka kubaza ibibazo bijyanye n’ibiregwa u Rwanda kuba rufatanya n’umutwe wa M23, ukaba uyoborwa na General Bosco Ntaganda ushakishwa n’Urukiko mpuzamahanga mpanabyaha kubera ibyaha by’intambara n’ibyaha byibasiye inyoko muntu aregwa n’urwo rukiko. Muri iki kiganiro Prezida Paul Kagame yavuze ko ibibazo bya Congo bigomba kubazwa umuryango mpuzamahanga hamwe na Congo n’abanyekongo ubwabo, ko aribo bagomba kwicara bagakemura ibibazo byabo ubwabo, ko atari u Rwanda ruzajya kubakemurira ibibazo. Kuri iyi ngingo hari umunyamakuru wabajije ati: “niba uvuga ko ari Congo n’abanyekongo ubwabo bagomba kwicara bakaganira ku bibazo byabo cyane cyane ibya politiki, ese wowe nk’umukuru w’igihugu waba witeguye kuganira ku bibazo by’igihugu hamwe na Victoire Ingabire umuyobozi mukuru wa FDU-Inkingi n’ubwo ari muri gereza, ese ntibwaba ari uburyo bwiza bwo gukemura ibibazo by’u Rwanda nk’uko ubisaba abanyekongo?”. Mu gisubizo yatanze, Umukuru w’igihugu yavuze ko Victoire Ingabire Umuhoza ntawe ahagarariye, ariko anashimangira, nkaho ari umucamanza, ko hari ibimenyetso bifatika bigaragaza ko Madame Victoire Ingabire Umuhoza ibyo aregwa ari ukuri. Yongeyeho ko niba umuntu ari mu muhanda akaba afite ikibazo cy’ibimutunga hanyuma akiba yarangiza agafatwa agakurikiranwa n’inzego zibishinjwe ngo bidakwiye kumubazwa. Aya magambo y’Umukuru w’igihugu aratangaje. FDU-Inkingi ntiyahwemye kwamagana bene izi mvugo zigaragaza ko Prezida Paul Kagame yivanga mu rubanza rw’umuyobozi wayo Madame Victoire Ingabire Umuhoza. Arakomeza kugaragaza ko ashaka byanze bikunze ko urwo rubanza rugomba gucibwa uko we arwumva. N’ikimenyimenyi inzego ze zasatse ibi bya mfura mbi umutangabuhamya wari waje gushinjura Madame Victoire Ingabire Umuhoza, avuga ko inzego z’iperereza z’Urwanda arizo zacuze umugambi wo gushakisha abashinjabinyoma. Ibyo byamuviriyemo kumubuza amahwemo, arakubitwa, bamaze kumugira indembe bajya kumuta muri gereza ya Mpanga aho adasurwa n’umuntu n’umwe. Ibi biri mu byatumye uregwa ava mu rubanza ku mugaragaro kw’italiki ya 16/4/2012, amaze kubona ko ubucamanza bubogamye ku buryo bukabije kandi budashishikajwe n’ubutabera. Mu gihe hiteguwe isoma ry’urubanza tariki ya 29 Kamena 2012, imvugo nk’izi zirakomeza kugaragaza ko Umukuru w’igihugu, Paul Kagame, ariwe mucamanza w’uru rubanza, kandi ko yamaze kuruca no kugenera ibihano Madame Victoire Ingabire Umuhoza. FDU-Inkingi irongera gushimangira ko ibibazo byo mu Rwanda ari ibibazo bya politiki kandi ko bizarangizwa n’imishyikirano ya politiki hagati y’ubutegetsi bwa Prezida Paul Kagame n’abahagaraliye abatavuga rumwe nabwo. Ntabwo rero Prezida Paul Kagame akwiye kujya gutokora icyatsi kiri mu jisho ry’abanyekongo mbere yo kuvana umugogo uri mu jisho ry’abanyarwanda. Nibyo koko ntabwo ikibazo cy’amahoro mu karere k’ibiyaga bigari kizarangizwa n’amasasu. Uko biri kwose ntakizahagarika inkubiri y’impinduramatwara yatangijwe na FDU-Inkingi mu gihugu, kimwe n’izindi mfungwa za politiki. Ushobora kubeshya rimwe abantu bose, ariko ntushobora kubeshya abantu bose igihe cyose. -Nyuma y’aho ubuhanuzi bugejejwe kuri Kagame ko ubuzima bwe bwaba bwegereza iherezo ubu ubwoba ni bwose haba kuri we ubwe, ku muryango we hamwe no mu nzego zishinzwe iperereza n’izimurinda ndetse utaretse no mu bategetsi banyuranye. Iki cyoba cyadutse muri leta ya Kigali cyaje vuba aha nyuma y’uko mu burasirazuba bwa Kongo ibintu bihunduye isura Kagame akiyemeza kujya kurwanirayo ariko azi ko bitazashoboka dore ko aboherejweyo bwa mbere basutsweho umuriro barahashirira abacitse ku icumu bahitamo guhungira muri MONUSCO. Kagame akimara kubona ko ibintu bigeze iwa Ndabaga ari nako intumwa ziyongera zimubwira ko akwiye gutegura iherezo rye yahiye ubwoba yirukanka ajya gusaba inama Museveni ndetse anamusaba ko yamuba hafi bityo akamuhumuriza. Ni muri urwo rwego i Kigali hateguwe amasengesho yo gutakamba ngo Imana ihindure umugambi wayo. Ayo masengesho y’igitaraganya akaba yaratumiwemo n’umufasha wa perezida Museveni Janet Museveni hamwe n’abandi bategarugori banyuranye dore ko Janet Kagame yabiyambaje ngo baze kumufasha gutakambira umugabo we ku Mana. -Mu muhango wo kwita amazina abana b’ingagi wabereye mu Kinigi mu mpera z’iki cyumweru gishize, Birahwihwiswa ko Perezida Kagame yagombaga kwitabira uwo muhango ariko kubera ubwoba afite muri iyi minsi yahisemo ko Ministre w’Intebe Dr Habumuremyi amuhagararira muri uwo muhango. Dr Habumuremyi wagira ngo ntacyo agira cyo gukora mu biro bye, ahora mu ngendo zidashira ku buryo hari abibaza igihe akorera akazi ko kuyobora Gouvernement. Ariko abakurikiranira hafi ibyo muri Leta y’u Rwanda bavuga ko umukuru wa Gouvernement mu by’ukuri ari James Musoni Ministre w’ubutegetsi bw’igihugu naho Dr Habumuremyi akaba agakingirizo. -RUSWA: Mu Rwanda hari gahunda y’uko Abasirikare; Abasezerewe mu Ngabo na Police ko bagomba kujya kurinda amahoro mu bihugu byo hanze (Haiti, South Sudan, Sudan, etc…); ubu nandika ibi hari abamaze kujyayo inshuro 2 cyangwa 3 hari nabatarajyayo na rimwe. Ubu noneho hagezweho n’abasivili bagenda mu mwanya w’abapolisi kandi ingero zirahari. Tubyite iki muri iki gihungu: igihugu cyamunzwe na Ruswa cg ugushishoza guhagije kwababishinzwe? - Mu kiganiro Kagame ka Rutagambwa yahaye abanyamakuru kuri uyu wa kabiri tariki 19 Kamena 2012, yiyamye ONU avuga ko ntacyo imaze ko ngo yananiwe akazi kayo none ikaba irimo kumushyira mu kibazo cya Congo atakirimo, ababikurikiranira hafi ariko bemeza ko ari rya terabwoba rye ashyira kuri ONU iyo ivuze amakosa ye bikaba bigamije kuyishyiraho igitutu kugira ngo itazagira icyemezo ifata cyamushyira mu majwi cyangwa ngo kibangamire inyungu ze (igisigaye n’ugukangisha gukura ingabo muri Darfur). Yanavuze ko bamusabye gufunga Laurent Nkunda akabikora none ngo nibakomeza kumushyira mu majwi ngo arava mu kibazo cya Congo abareke birwarize (ibi bishatse kuvuga byinshi niba hari abamuhaye inshingano zo kujya muri Congo ntawamenya) muri icyo gihe Mushikiwacu yari i Kinshasa agerageza gutera ibipindi abakongomani dore ko bari barakaye bajya guhuruza hafi Africa yose ku buryo Leta y’u Rwanda yabonaga igiye kwisanga mu ntambara nk’iyabaye hagati ya 1998 na 2002. -Mukantaganzwa muka Mutsindashyaka uyu bamaze iminsi batereza cyamunara imiturirwa, nyuma yo kurangiza ikiraka cyo gukora igikorwa cya mbere mu mateka y’u Rwanda cyo guhohotera inyokomuntu mu gihe cy’amahoro kiswe Gacaca (yaciye hafi imanza zirenga miliyoni 2 ngo mu bantu barezwe 65% ibyaha byarabahamye ariko izo nkiko ngo zari zigamije kunga abanyarwanda nta rubanza na rumwe yigeze ica rwaregaga umututsi cyangwa umusirikare wa FPR ndetse n’abavuzwe muri izo manza ko bakoze ubwicanyi urugero nk’i Byumba ubuhamya bwarirengagijwe ndetse n’ababutanze bibagwa nabi), Mukantaganzwa ubu ngo agiye kugororerwa ubusenateri. Ariko hari n’abavuga ko Leta y’u Rwanda ubu irimo kwiga uburyo izashiga komisiyo ihoraho izasimbura inkiko gacaca ikazayishinga uwo mubyeyi kuko azwiho ko atagira imbabazi na gato kuko ngo yaba yaramereye nabi umwana w’umukobwa Mutsindashyaka yabyaye hanze kugeza ubwo se amuhungishirije hanze y’igihugu! - Intambara Paul Kagame yateje mu burasirazuba bwa Congo igiye gutuma bamwe mu bakongomani b’intagondwa barwara ibisazi byo kwanga abanyarwanda, ndetse n’abasanganywe urwango bakabona urwitwazo. Nk’ uwitwa « Bishop » Elysée yatangije intambara ntagatifu yo kurwanya abanyarwanda cyane cyane abatutsi ngo byanditse no muri Bibiliya! -Indege ya Rwandair yagombaga guhaguruka i Kigali saa kenda yarasibijwe ihaguruka saa tatu z’ijoro kuko ngo abagenzi ba saa kenda bari bake Rwandair yashakaga ko bagendera rimwe n’aba saa tatu z’ijoro ngo kubera kwizirika umukanda!!!??? Ubwo abagenzi babirije aho bamwe mu bagenzi bageze Entebbe bwije bamwe bahura n’ingorane! -Hari intambara yo kugabana ibyavuye mu mitungo yafatiriwe na Gacaca aho ngo hakora ikimeyane na ruswa. Igisekeje ngo ni uko abahabwa indishyi ngo barasahuwe ari ababohoje iby’ababishyura bamaze guhunga! Uwapfushije ntacyo ahabwa ahubwo indishyi zihabwa abiyitirira imitungo ngo yangijwe cyangwa yasahuwe batagiraga cyangwa bahaye agaciro k’umurengera!